Shopping in Thornbury. Discounts for Royal Harbour Resort Guests. Shopping experience in Thornbury’s neighbourhood shops, just a short walk from your accommodations at Royal Harbour Resort, offers options, ease and affordability. You will find chic one-of-a-kind fashion and home decor products for men and women alike. 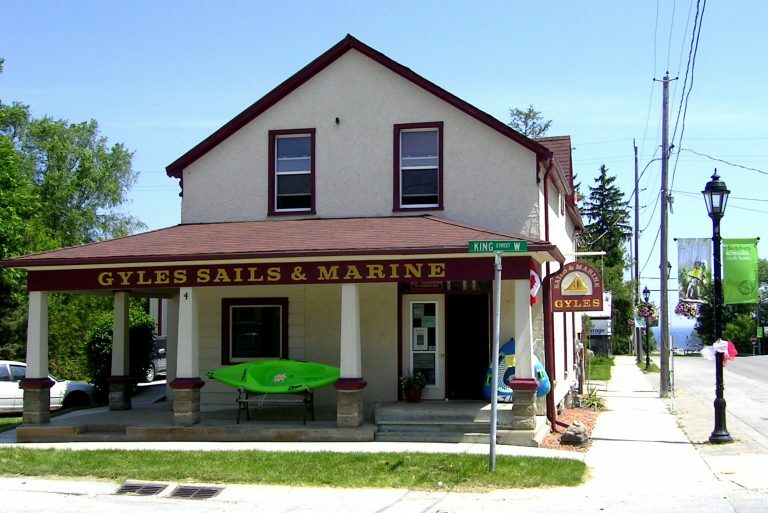 Gyles Sails and Marine is your go-to for boating and sailing supplies and service, providing boat repair service and marine supply selection, fishing tackle and bait, at competitive prices. You will be greeted by knowledgeable, friendly staff, find a large product selection as well as in-house seminars and demonstrations. Romance is the main ingredient for Shabby Chic. It is the core visual aesthetic. Romantic movies, music and poetry are a wonderful source of inspiration. The charm of the old and battered is appreciated extending a comfortable, relaxed approach welcoming to all. 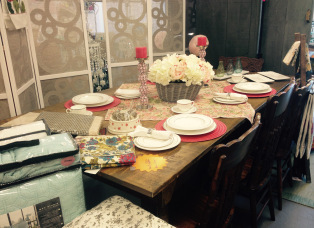 The Shabby Shack Boutique specializes in home decor, handcrafted furniture, antiques and artwork. Bayswater Market is a local shop specializing in gifts, home accessories and antiques. They carry scented and unscented soy candles, gourmet food, Nougat of London Body & Bath and a selection of local antiques. Go green with a recycled glass vase or an all natural jute rug. by prominent contemporaries of the Group of Seven and other well noted mid-20th century artists in a relaxed casual setting. Plus you will find an authentic collection of folk art and decorative accessories together with a fabulous collection of top quality vintage hooked rugs. Evolution him & her has been a part of downtown Thornbury since 2010. 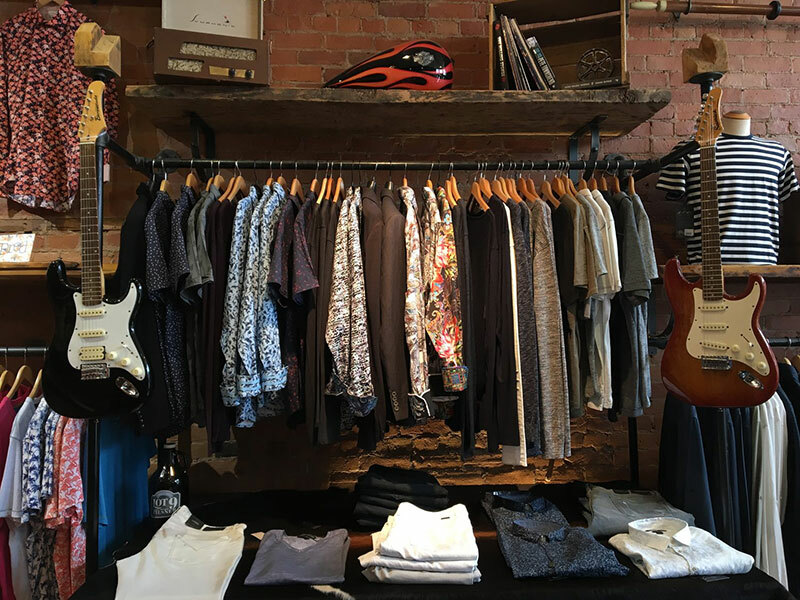 What started out as Thornbury’s only men’s clothing store, soon grew to be all that and more. Today, Evolution carries men’s fashions, ladies fashions, footwear, accessories, giftwear and even some home goods. Hillstreet Productions pottery studio faatures stoneware and porcelain clays produced on the wheel and free form by Carol Hahn. Vist by appointment, 519-599-6863. 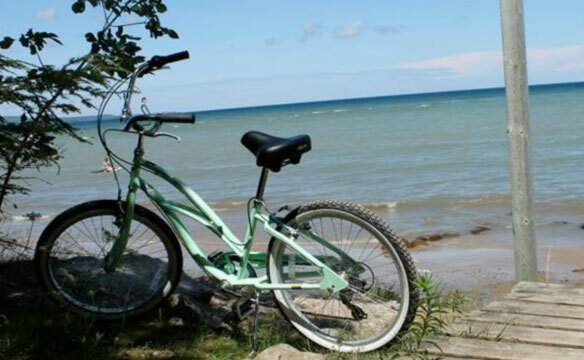 The one-stop, new and used bicycle sales, rentals, tours and repair shop in Meaford, located less than 1 minute from the beautiful harbour and the start of the Georgian Trail.